Cover: Avenue D in 1896. 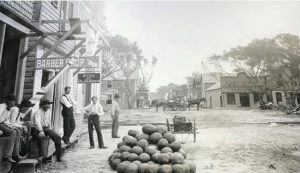 The featured photo looks north on Avenue D in 1896 and highlights how much of a frontier town Miami was in its first few years as a city. For proper orientation to today’s street names, Avenue D was renamed to South Miami Avenue in 1920. The vantage point of the photographer would have been between South Second and Third streets looking north on today’s South Miami Avenue. The sign in the foreground, beyond the ‘Barber Shop’ sign, is the shingle of a physician, Dr. J.G. Baskin, who setup his practice above Culverhouse’s Drug Store. The drug store and doctor office were located next door, directly to the south, of the Miami Metropolis office. Figure 1: Ad for Dr. J.G. Baskin for Miami Metropolis on December 11, 1896. According to an advertisement in the Metropolis on December 11, 1896, Dr. Baskin got his education at Vanderbilt University Medical School and he was one of several doctors who relocated to the new City of Miami in 1896. Of course, the most notable doctor to relocate to the young city was Dr. James Jackson, of which the Jackson Medical Center is named. Further north in the picture, at today’s SE Second Street, are two buildings of historic significance. Both buildings were wood-framed structures, and both were facing south. The building on the northeast corner of SE Second Street and South Miami Avenue was Brady’s Grocery. To the west of Brady’s was Miami’s first financial institution, Bank of Bay Biscayne. Figure 2: Brady’s Grocery & Bank of Bay Biscayne in 1896. When tragedy struck on Christmas Day in 1896, most of the buildings in the picture were destroyed by fire. The blaze began beneath Brady’s Grocery and spread quickly to both sides of South Miami Avenue and to the north as far as First Street. In total, twenty-eight buildings were destroyed including Brady’s Grocery, Bank of Bay Biscayne and the Miami Metropolis offices. To read more about Miami Christmastime Fire of 1896, click here. Join the Miami History Meetup on Wednesday, May 8, 2019 from 5:30pm – 8:00pm to learn more about downtown Miami in its first twenty-five years. The event will be at Pez Restaurant at 20 West Flagler Street in downtown Miami. Click here for details and to reserve your spot for this event. Cover: Avenue D in 1896. Courtesy of HistoryMiami. Figure 1: Ad for Dr. J.G. Baskin for Miami Metropolis on December 11, 1896. Courtesy of Miami Metropolis. 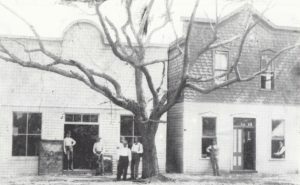 Figure 2: Brady’s Grocery & Bank of Bay Biscayne in 1896. Courtesy of Florida Memory.